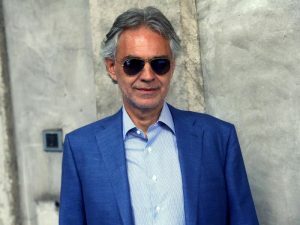 Italian singer Andrea Bocelli. Latest news, biography,videos and interviews. Andrea Bocelli The Lords Prayer. – YouTube. 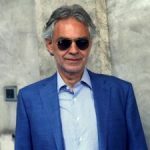 Bocelli will be joined by actress and singer Kristin Chenoweth and Soprano Nadine Sierra as guest performers. TAMPA, FL – World renowned tenor Andrea Bocelli will be performing at Amalie Arena during his annual Valentine’s Day performances. He will be joined by actress and singer Kristin Chenoweth and Soprano Nadine Sierra as guest performers. The three-city tour kicks off at the Spectrum Center in Charlotte, N.C. on Friday, Feb. 9; in Miami on Feb. 11 and Amalie Arena on Feb. 14, at 8 p.m. The February show marks the first time Bocelli has ever performed on Valentine’s Day in Tampa. 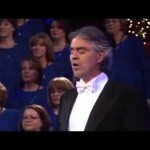 Bocelli will perform a unique holiday repertoire combining the arias, crossover hits and famed love songs. 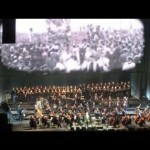 Bocelli will also be joined on stage by conductor Eugene Kohn and violinist Caroline Campbell at each stop on the tour. Tickets for the event are on sale now at the McDonald’s Ticket Office at Amalie, Ticketmaster outlets and at Ticketmaster.com. Order tickets by phone by calling 800.745.3000. Ticket prices are $75, $125, $195, $265 and $355. Prices do not include facility fee or service charges. Visit amaliearena.com or call 813.301.2500 for more information. Sales launch will take place at the American Film Market next week. London-based sales outfit Carnaby International has acquired worldwide sales rights to ice-skating film Intimissimi On Ice: A Legend of Beauty. The company is set to screen promo footage from the filmed event at the American Film Market (AFM) in Los Angeles from next week, which will act as its official sales launch. 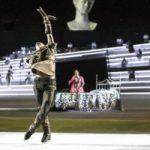 The film, which was shot at The Arena Di Verona in Italy and is part of the Opera on Ice series of events, is narrated by Andrea Bocelli and combines opera and figure skating. It also stars Japanese figure skating champion Shizuka Arakawa, American ice-dancers Meryl Davis and Charlie White, and Canadian pair-skating duo Meagan Duhamel and Eric Radford. Director Damiano Michieletto said: “Working on this project with such amazing talent and people from all around the world was one of the highlights of my career.